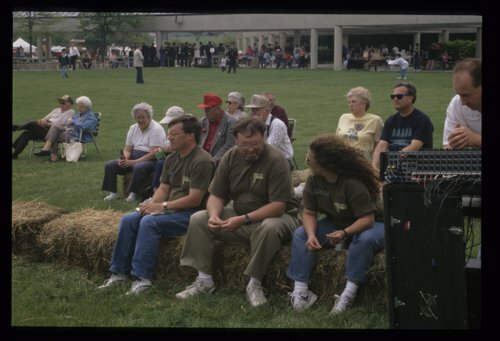 Two slides showing events at Raccoons & Tunes at the Kansas State Historical Society. One slide shows staff members (left to right) Bob Keckeisen, Rick Baker and Kim Baker. The other is of David Haury, Historical Society's assistant director, dressed as a raccoon.